“I wanted to be a video game designer, professional soccer player, pilot and, even now, I still want to be Iron Man,” he said, with his own brand of understated humor. Having a love of movies, Lee was fascinated with the whole process, from the directing and acting to the editing, but he never had a chance to experience it in his personal life. After all, he was on a path leading to a science-related field – which did not inspire him in the least. 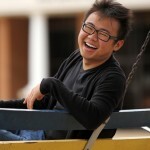 It wasn’t until he was introduced to SAU’s website through a friend that he discovered an educational option he did not know about in Malaysia. His parents took a chance to allow him to divert his course and come to America to study theater and minor in cinema, which is not even an educational option in his part of the world. Before SAU, Lee had never known the stage. A new world of possibilities was opened up before him with the help of faculty and staff in the Department of Theatre and Mass Communications at SAU. His first production was “39 Steps.” He learned the process from behind the scenes working in technical positions or as prop or costume assistant. His first chance to act came with his small role as Curio in “Twelfth Night,” a Shakespearean comedy. The sophomore theater major has no regrets for taking the chance to come to SAU and spend time away from his home and family. 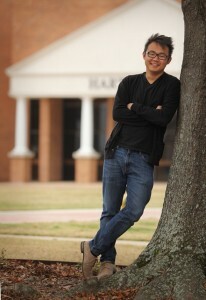 Lee was approached by fellow cinema major Michael Kornegay, who was working on a promotional project with Department of Communications Director Aaron Street. 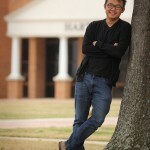 They wanted Lee to be the lead in a parody of Psy’s popular hit “Gangnam Style.” The SAU version is titled “Mulerider Style” and features Lee and the antics of students, faculty, staff, and administration. For two weeks, Lee worked with the communications crew making the comical video that went viral and continues to draw attention. His family and high school friends back in Malaysia have had a chance to see it, thanks to the magic of YouTube and the Internet. His favorite part of the filming was with Dr. Viktoriya Street, Christa Brummet, and the Physical Plant crew in front of the Science Building. 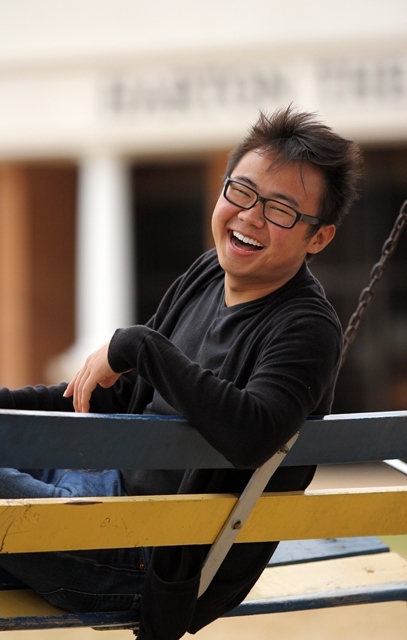 Lee reminisces about how his SAU experience has changed him so far. “Back home, I was quiet. Here, I’m not the kind to limit my friendships. I’ve become a sort of social butterfly, with friends with all groups. I love getting to know people,” he said. “I still have a little shyness in me, but I’ve learned a lot from this experience and am definitely a lot more extroverted. Be sure to watch Lee and the “Mulerider Style” video!